On Thursday, November 15, 2018, the presentation of Sarkis Mahserejian’s newly published novel titled “Land of Hidden Treasures” will take place at the Western Prelacy “Dikran and Zarouhie Der Ghazarian” Hall under the auspices of H.E. 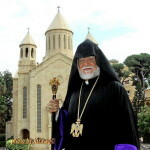 Archbishop Moushegh Mardirossian, Prelate. 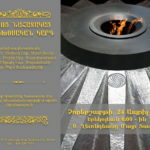 The event is jointly organized by the Western Prelacy Cultural-Educational Committee and Asbarez newspaper. 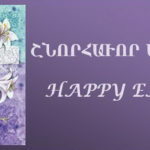 The book was published as part of the “Hye Kir” series on the occasion of the centennial of the first Republic of Armenia and is geared toward the youth. 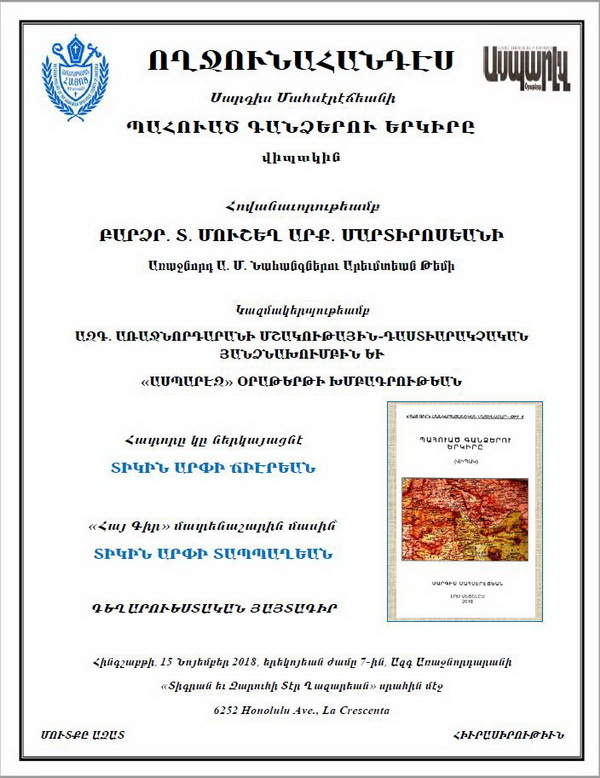 The book will be presented by Mrs. Arpi Jierian, while Mrs. Arpi Dabbaghian will speak on the “Hye Kir” series. The evening will feature a cultural program.